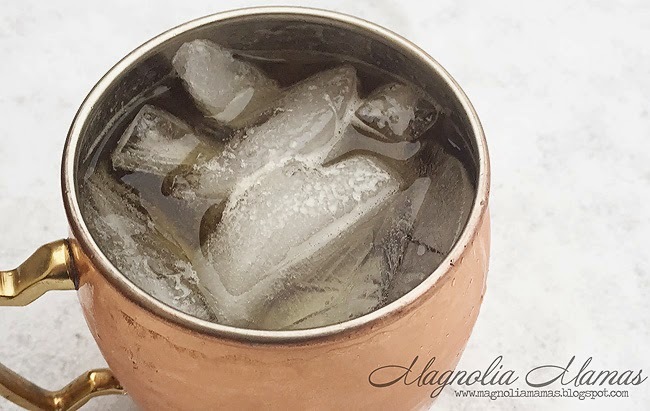 A few months ago Carrie Beth wrote about her new love for the Moscow Mule. 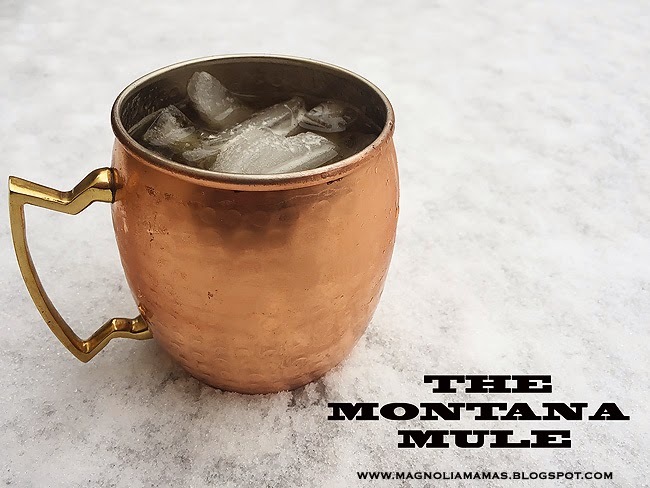 Well today I am going to introduce you to its less mentioned second cousin the Montana Mule. The Hubs made this drink during the snow storm we had a few weeks ago, and told me to try it. I was a little skeptical because I might be southern on a lot of things, but bourbon drinking isn't one of them. I was pleasantly surprised. I might now be a bourbon convert. You know, as long as it is heavily dosed with lime juice, ginger beer and ice, bourbon isn't that bad. Not at all. 1 - 1 1/2 oz. of bourbon whiskey. 5 oz of ginger beer. Carrie Beth mentioned where we got our fun copper mugs HERE, but I have also found some new favorites I thought I would share. This monogrammed option is a southerner's dream. I also like this monogram option and this monogram option. Who doesn't love a good monogrammed copper mug? Another new favorite is this set. I swoon! Hammered copper is my absolute fav! Some other fun hammered copper choices are these, this seriously adorable petite set, and these ones. Seriously all of them would be so fun to have in your bar. The cups are almost as much fun as the drink. Almost. Have a great happy hour! Cheers! P.S. - Don't forget to enter our $20 gift card giveaway to Books-A-Million. Winner announced 3/16. For details and to enter click HERE!